The China Cup will go in to its second year in 2018. The tournament features 4 sides and debuted last year with Chile, Iceland and Croatia joining the host China. In 2018, we will see China joined this time by Uruguay, Czech Republic and Wales. The completion will take place in the south of China in the City of Nanning less than 200 miles from the Vietnam boarder. This is another example of China trying to reach a larger audience, and increase the commercialism of football in the country. 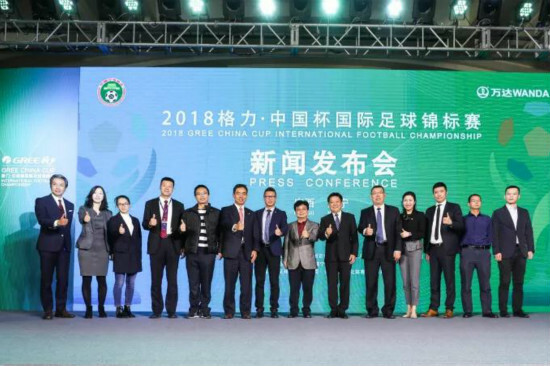 We have seen this already, with the big English sides playing in China and a Manchester derby was even planned in Beijing in 2016, but this was postponed due to rain storms. They have now managed to attract Wales, the European Cup semifinalist and a side full of English Premier League stars, which am sure they are hoping will create further excitement. It’s already been announced that, assuming he is fit, Gareth Bale will travel to the China Cup in 2018 to play. The man who cost £80 million back in 2013 will I am sure attract even more interest from the locals. Also joining him will be his rival in La Liga, Luis Suárez. With these two superstars of the game coming to China, the interest will increase. When is the China Cup, I am sure you all want to know, now? For all you keen football fans it will fall in the international week of the 19th to the 27th March 2018. This weekend is set aside for international friendly games in Europe. I am sure Uruguay will use it as a vital World Cup warm up, while the other three, who are all missing out on the fun in Russia, will get to enjoy a mini-tournament mid-season. I really hope you are excited by this as much as I am. This is a great way for China to show the world their footballing passion. It will be a great experience for the players of the three other countries also, while I know for sure there's a really excitement for this among the Welsh fans,as they are looking to bringing their own red wall to China.